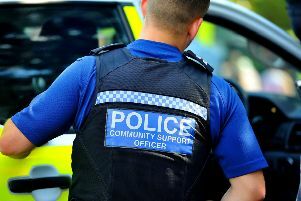 People in Rother are being urged to ‘Be Active’ at a major event being held in Bexhill. More than 30 local sports clubs and teams will attend the event, which takes place on the lawns by the De La Warr Pavilion on Sunday, August 23. Representatives of groups attending will stage demonstrations and activities, with the aim of encouraging more people to take part in sport to get fit and healthy. There will also be a chance to find out about opportunities to volunteer with clubs and other organisations. The event is being organised by Active Rother, the partnership led by Rother District Council which encourages people to get active. Cllr Jonathan Johnson, district council cabinet member for young people, sport and leisure, said: “Taking part in sport and getting active have huge benefits for health and wellbeing, but people may not know where to start. Activities to be showcased at Be Active include demonstrations by Bexhill Shotokan Karate Club, South Saxons Hockey Club and Bexhill Runners, and sessions in outdoor fitness, yoga, zumba, pilates, tai chi and tennis. People will be able to have a go themselves and will even have the chance to ‘step into the ring’ with Bexhill Boxing Club. Bexhill Wheelers cycle group will have a gazebo on the Metropole Lawns, next to the Pavilion, and will be promoting all things cycling as well as organising some local coastal rides during the day. People can also follow the event via the Active Rother Facebook page at www.facebook.com/activerother.